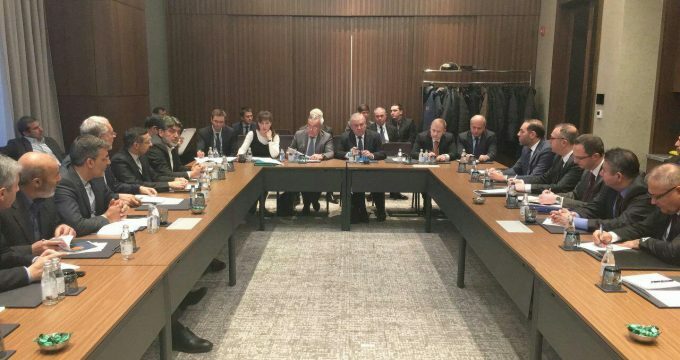 IRNA – Iran, Russia and Turkey announced on Friday they have decided to hold the next round of high-level International Meeting on Syria crisis in Kazakhstan’s capital in the second half of February 2018. The three countries ’emphasize that they view the upcoming Syrian National Dialogue Congress as an initiative aimed at giving momentum to negotiation process under the UN auspices in Geneva and facilitating an intra-Syrian agreement based on mutual consent,’ it was announced at a joint statement by Iran, Russia and Turkey at the end of the Eighth Round of Syria Peace Talks in Astana. 10- Decide to hold the next high-level International Meeting on Syrian Astana in the second half of February 2018.